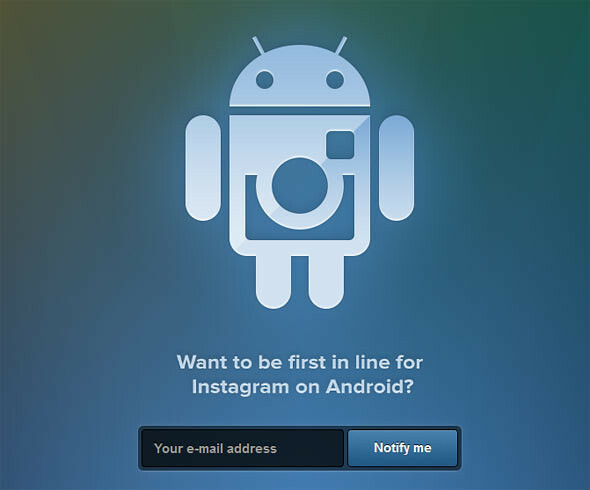 Instagram Is Coming To Android. Be Among The First To Sign Up Now! The photo sharing app which is loved by everyone (which has been exclusive to iPhones) is coming to Android! The guys at Instagram has put up a teaser page with a simple sign up form for users who wants the fastest update regarding this. Click to http://instagr.am/android/ to leave them your email address now! One Response to "Instagram Is Coming To Android. Be Among The First To Sign Up Now!"